Back when we went to visit family during the Christmas break, they wanted to go see Star Wars for the umpteen millionth time. 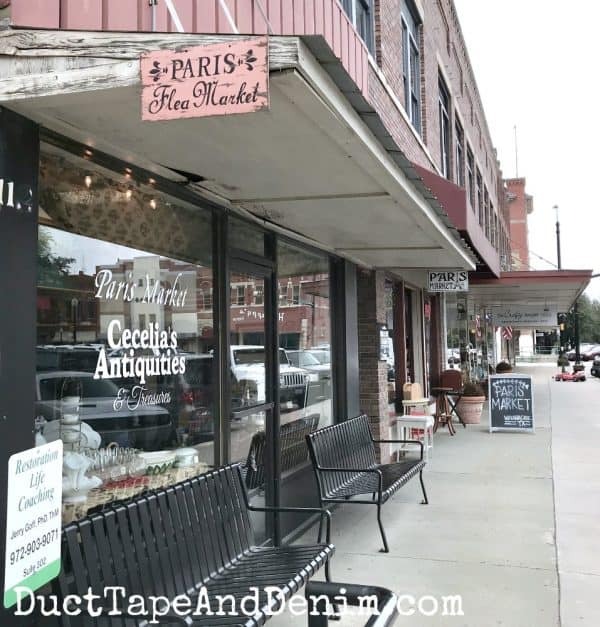 I was perfectly content with the one time I’d already seen it so I snuck away from the theater to visit a few of my favorite antique stores in Waxahachie. 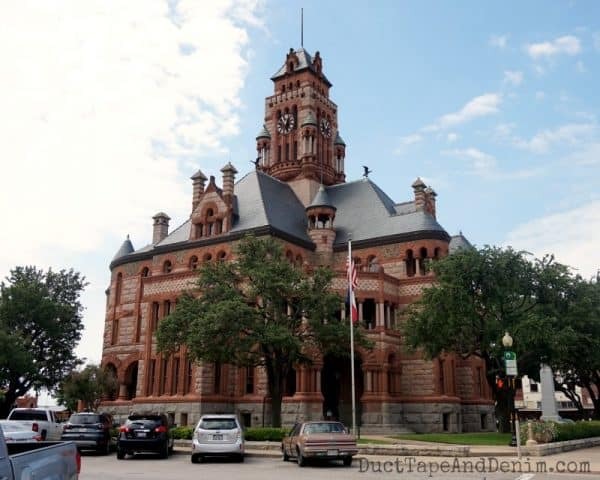 I think the Ellis county courthouse on the square in downtown Waxahachie is the most beautiful courthouse anywhere! Usually I park somewhere near it and I almost always take a picture… even if they all end up looking exactly the same! 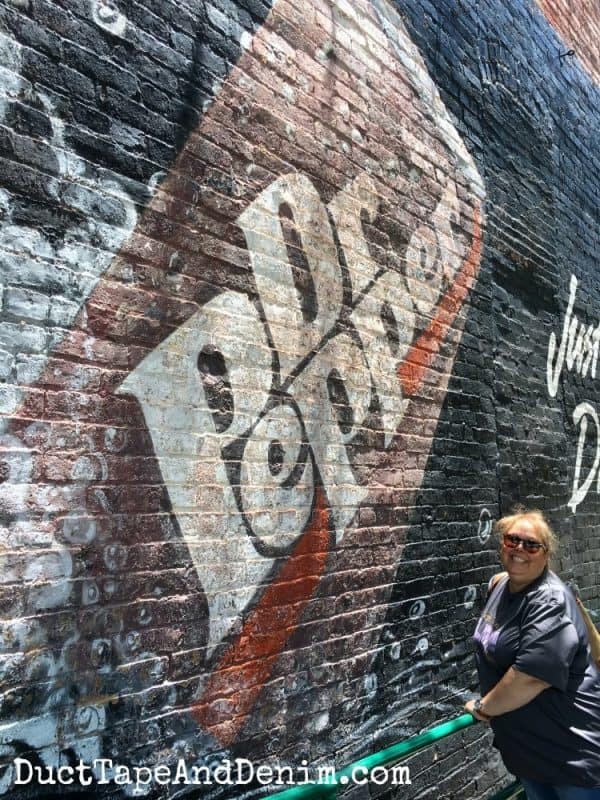 We love the Dr. Pepper mural, too. I took this last summer when my sister-in-law and dad went antique shopping with me. My Father’s House, 308 S Rogers St – This is right across the street and has more “real” antiques. 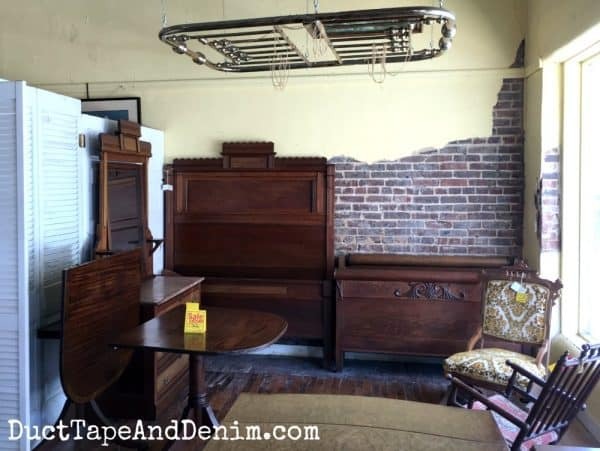 Lots of large pieces of furniture, most at a pretty good price. 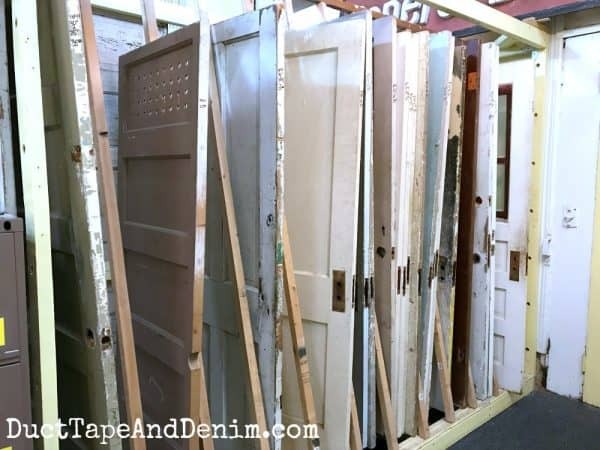 They also have architectural salvage. Scroll down to see photos. High Cotton Emporium, 207 S College St – This charming little shop is much more styled. And she has an amazing faux brick wall at the back… don’t miss it! I wrote a whole article about this shop. The Doves Nest, 105 W Jefferson St – The next two shops are more “high end” vintage. The Doves Nest also has a restaurant in the back. Best pecan pie I’ve ever eaten! They also have more new clothing in the front. Farmhouse, 308 S College St – They sell just what the name says — farmhouse style home decor. Along with Annie Sloan paint. 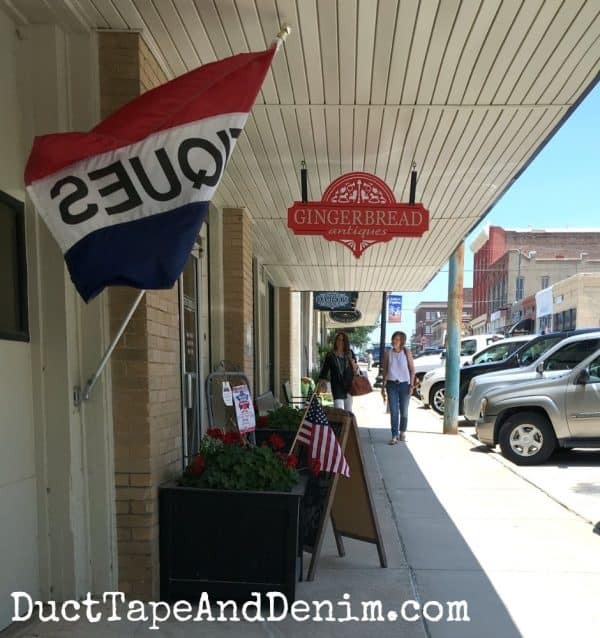 Gingerbread Antiques, 310 S College St – Another more “old fashioned” antique shop. Here’s Gingerbread Antiques last summer. 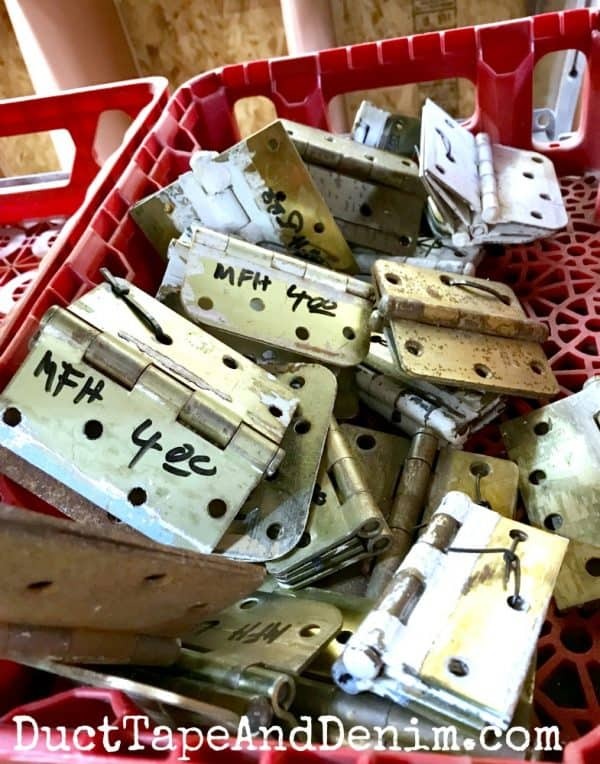 …along with this box of hinges. Here’s some of the furniture in the front room of My Father’s House. I just had to take a picture of this… not MY Paris Flea Market. I just had to take a picture of this piece that I found hidden away on the second floor of Old Town Village Antiques. Wouldn’t it be cute hung upside down on the wall with some faux ivy? 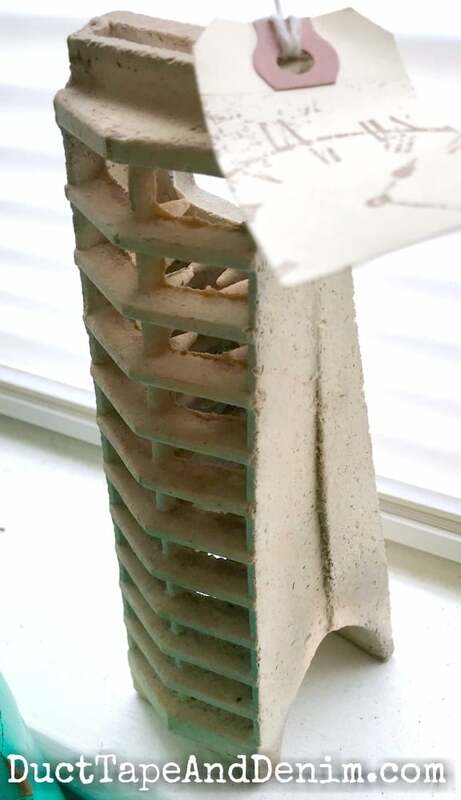 I have this thing about old heaters and their parts. Did you see the planter I made out of mine? 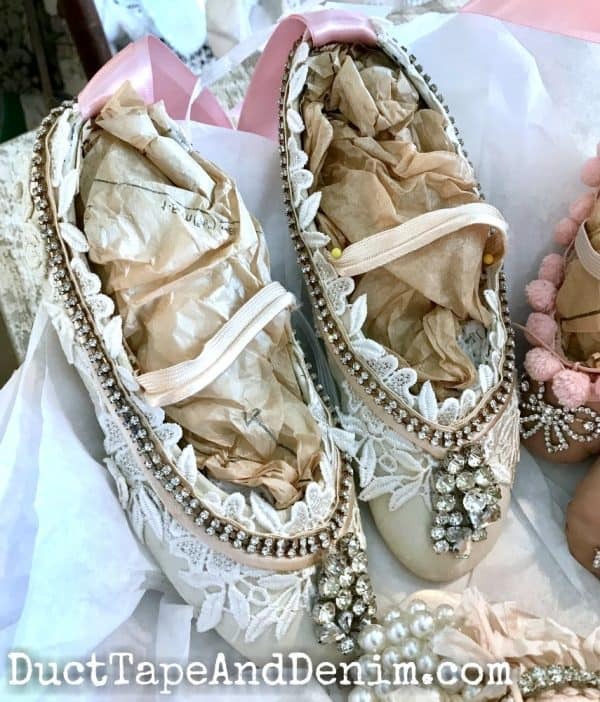 These shoes were so beautiful that I had to take a picture… and I forgot the name of the shop I saw them in! It was one of the smaller shops on Rogers Street. I’ll try to find it on my next visit and share it with you. Thanks for reading! 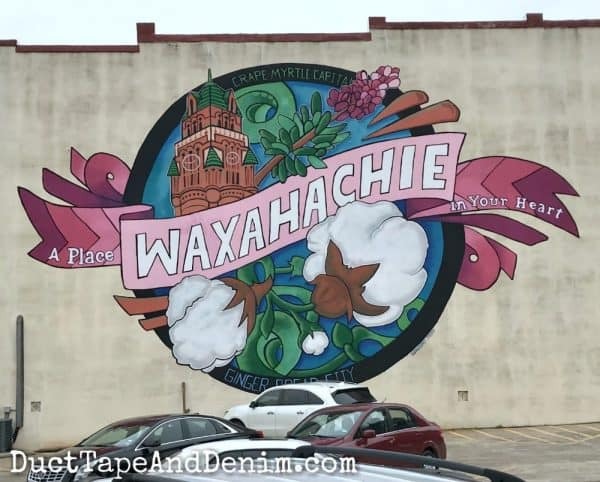 Let me know your favorite antique stores in Waxahachie… I know I’ve missed some.